Tree and shrub pruning helps your landscape flourish by addressing concerns such as tree risks, structural integrity, longevity or life expectancy, shape and appearance. 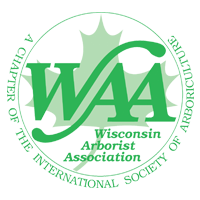 Trust our Wisconsin experts to enhance the natural beauty of your trees to preserve their strength, stature and seasonal character. Think carefully before you pick up that pruner, poor pruning decisions are permanent – you can’t glue that branch back on! Prune you trees and shrubs the right way with our ISA- certified arborists. 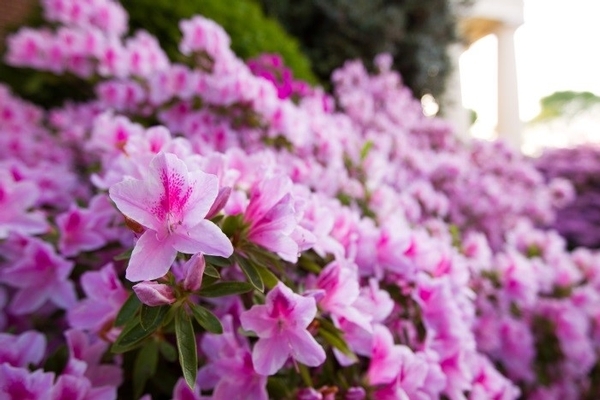 Our experts carefully assess each tree or shrub individually and then develop a customized plan to address your landscape’s unique needs. Carefully following the pruning guidelines set forth by the American National Standards Institute (ANSI), our knowledgeable and friendly arborists will utilize the proper pruning techniques to keep your trees and shrubs safe, healthy and beautiful all year long. Why should you prune your trees and shrubs? At First Choice Tree Care our pruning priorities are clear. First, we prune to remove hazards to assure the safety of you, your family and guests. Secondly we prune to benefit the health and longevity of your tree. Finally, we prune to improve the appearance of your tree. Hazard Reduction: The removal of dead, decayed, broken or poorly attached branches provides immediate benefit in securing the health and safety of you, your family and guests. Reducing Risk: By pruning poorly attached branches and ensuring proper branch spacing, tree pruning will help protect against future storm damage and the danger of fallen limbs. This is particularly a concern for trees along pedestrian paths, driveways and surrounding buildings. To learn more about our storm damage prevention services, including cabling and bracing, please click here. Our Wisconsin tree care experts also recommend pruning trees with low-hanging branches in certain areas to eliminate interference with traffic. Health: Our pruning services include the removal of diseased, dying, crossing, rubbing, interfering and competing branches on both mature and young trees and shrubs. Proper branch removal improves the overall health and vigor of the remainder of the tree and improves air circulation within the crown of the tree, thereby increasing its useful life expectancy. Healthier, more vigorous trees are also better positioned to naturally resist attacks by insects and disease causing fungi. Young Tree & Shrub Pruning: Pruning young trees and shrubs, known as training or developmental pruning, is performed for structural enhancement. This important procedure helps ensure that your young trees or shrubs have a desirable branch architecture and structural integrity. Regular and proper pruning of trees when they are young helps reduce the number of costly problems that develop as your tree matures. Appearance & Restoration: Tree and shrub pruning for appearance and restoration is essential for maximizing the beauty of your landscape and for assisting with regular landscape maintenance. Visual Access: Increase your landscape’s visual aesthetic and property value with vista tree or shrub pruning. With our pruning services, you will be able to take advantage of access to lakes, valleys and other picturesque views on your property, while maintaining privacy where desired. Crown Raising: Crown raising entails removing lower branches on developing or mature trees to allow more clearance above lawns, sidewalks or streets. This practice can be used for houses, lights, garages, utility lines, vehicle or pedestrian traffic – or to clear space for other plants. Crown raising is usually done in conjunction with other pruning. Crown Cleaning: Crown cleaning is the selective removal of dead, dying and disease wood from the crown. Crown Reduction: During crown reduction, branches at the top of the tree are removed to reduce its height. Crown reduction is the least desirable pruning practice and our experts recommend this step only when absolutely necessary. Thinning: Thinning is the removal of competing branches to improve light and airflow through the crown. Training Pruning: To ensure proper form and healthy growth patterns, young trees are pruned to properly space branches, remove poorly attached limbs and to develop a strong central trunk or leader. Trees properly pruned while young result in structurally sound trees when mature. Call us today to take advantage of the professional tree and shrub pruning services that will benefit your landscape for a lifetime. Click here to contact us now! Prune Your Oaks Before April 1!